For bookings and enquiries please contact the Events Team on 0141 357 6214. 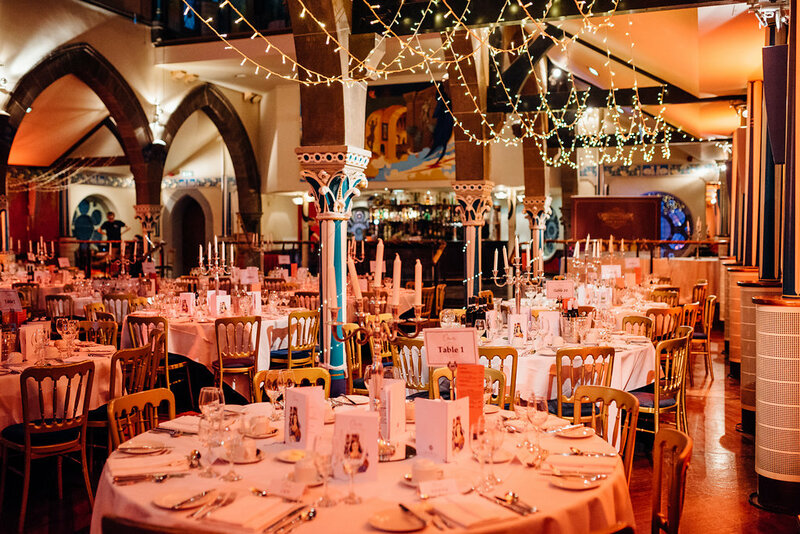 Situated in the heart of the West End, Oran Mor is a unique venue. The Auditorium, Gallery and Private Dining Room are all available for hire for private parties or dinners. 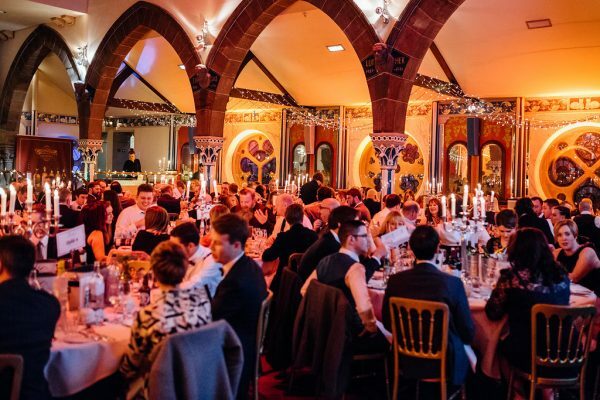 From your initial enquiry through to the completion of your event, you will have one contact ensuring a personal and efficient service. 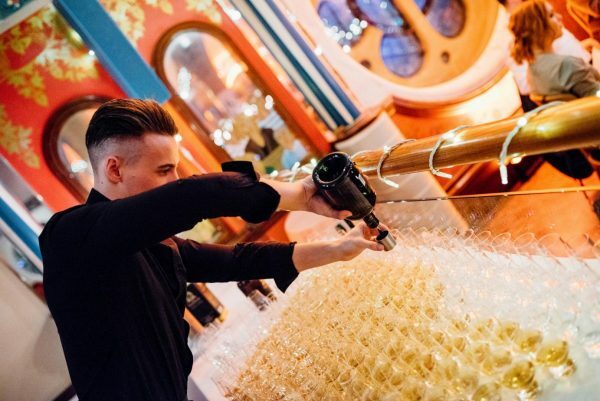 We recognise that each event has different requirements and therefore we offer complete flexibility including bespoke menus and an accommodating approach to any request. 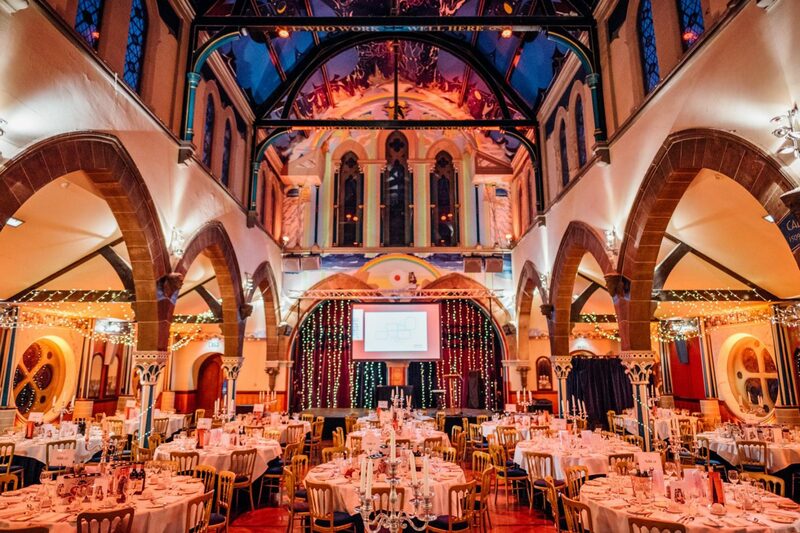 The Auditorium is a breathtaking architectural setting for a range of events, from workshops for 80 people to a formal banquet of 276. Beneath the celestial ceiling mural by Alasdair Gray, one of Scotland’s largest pieces of public art, guests can enjoy the fine Scottish food and impeccable service that has put us on the map as one of Glasgow’s leading venues. 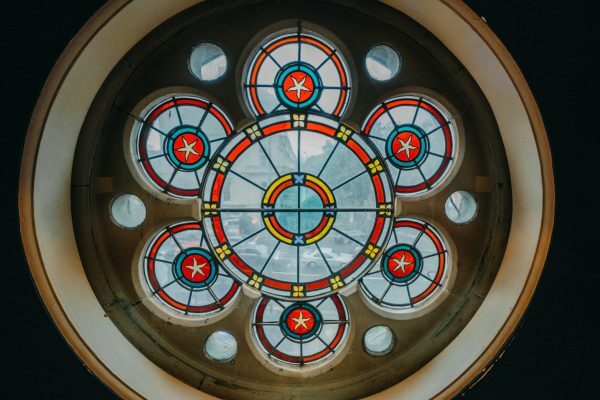 It is an atmospheric room enhanced by the pagan stained glass windows, and, as well as retaining many of the original features of the church, offers a contemporary setting in which to hold events. The facilities include a private entrance, a dedicated kitchen, disabled access, natural daylight and an original architectural setting. The Private Dining Room is a beautifully appointed room with views over the Kibble Palace in the Botanic Gardens. It’s perfect for discreet meetings and dinners. It has a sumptuous seating area, private bar and a boardroom table. For more information on our Private Dining space click here.